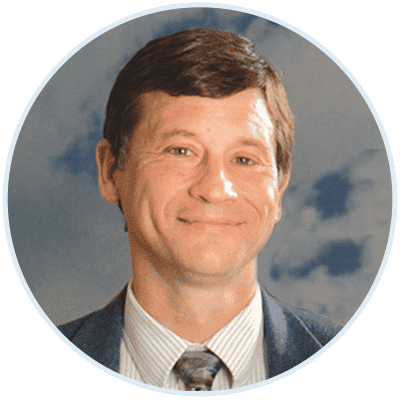 Jerry Vockley, MD, PhD is a highly respected thought leader in the field of genetic research as a result of his internationally acclaimed work in medical genetics and inborn errors of metabolism. He has published more than 185 scientific articles in peer-reviewed journals. His laboratory has been responsible for identifying and characterizing the molecular basis of multiple new inborn errors of metabolism. The National Institutes of Health has awarded Dr. Vockley continuous funding to support his important work since 1992. After receiving his bachelor’s degree in biology at Carnegie-Mellon University, Dr. Vockley went on to receive his medical degree and doctorate in Genetics from the University of Pennsylvania School of Medicine. He completed his pediatric residency at the University of Colorado Health Science Center, and his postdoctoral fellowship in Human Genetic and Pediatrics at Yale University School of Medicine in New Haven, Connecticut. Before assuming his current position in Pittsburgh, Dr. Vockley was Chair of Medical Genetics in the Mayo Clinic School of Medicine. Dr. Vockley is board-certified in pediatrics, clinical genetics and biochemical/molecular genetics. He has has received numerous honors for his work. His professional and scientific society memberships include the American Society for Clinical Investigation, Society for Inherited Metabolic Disorders, American Society of Human Genetics, American Academy of Pediatrics, American Association for the Advancement of Science and the Society for the Study of Inborn Errors of Metabolism. He is the past president of the Society for Inherited Metabolic Disorders and the International Congress on Inborn Errors of Metabolism. Wang Y, Mohsen AW, Mihalik SJ, Goetzman ES, Vockley J. (2010). Evidence for physical association of mitochondrial fatty acid oxidation and oxidative phosphorylation complexes. The Journal of biological chemistry. 285: 29834-41. PMC2943265. Wolfe LA, Morava E, He M, Vockley J, Gibson KM. (2012). Heritable disorders in the metabolism of the dolichols: A bridge from sterol biosynthesis to molecular glycosylation. Am J Med Genet C Semin Med Genet. 160C: 322-8. Mazariegos G, Shneider B, Burton B, Fox IJ, Hadzic N, Kishnani P, Morton DH, McIntire S, Sokol RJ, Summar M, White D, Chavanon V, Vockley J. (2014). Liver transplantation for pediatric metabolic disease. Mol Genet Metab.111: 418-27. 24495602. Vockley J, Andersson HC, Antshel KM, Braverman NE, Burton BK, Frazier DM, Mitchell J, Smith WE, Thompson BH, Berry SA. (2014). Phenylalanine hydroxylase deficiency: diagnosis and management guideline. Genet Med.16: 188-200. 24385074. Schiff M, Haberberger B, Xia C, Mohsen AW, Goetzman ES, Wang Y, Uppala R, Zhang Y, Karunanidhi A, Prabhu D, Alharbi H, Prochownik EV, Haack T, Haberle J, Munnich A, Rotig A, Taylor RW, Nicholls RD, Kim JJ, Prokisch H, Vockley J. (2015). Complex I assembly function and fatty acid oxidation enzyme activity of ACAD9 both contribute to disease severity in ACAD9 deficiency. Hum Mol Genet. 24: 3238-47. 4424958. Vockley J, Marsden D, McCracken E, DeWard S, Barone A, Hsu K, Kakkis E. (2015). Long-term major clinical outcomes in patients with long chain fatty acid oxidation disorders before and after transition to triheptanoin treatment-A retrospective chart review. Mol Genet Metab. 116: 53-60. PMC4561603.